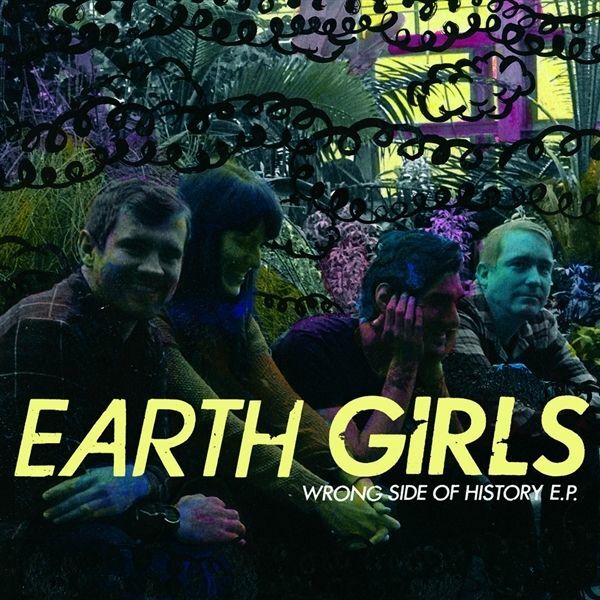 The Chicago-based band Earth Girls featuring Liz Panella- guitar/vocals (Libyans, Siamese Twins, Broken Prayer), Jeff Rice- drums (Daylight Robbery), and Joey Kappel- bass (Broken Prayer, Boilerman), began in early 2013 following two previous incarnations as The Waifs (2008) and Embarrassed Teens (2011). Bonding over a shared love for both hook-laden garage / pop-punk and energy drinks, Liz and Jeff began practicing incessantly that summer, writing both new material as well as refining songs that had made it through the ranks of the two previous bands. Along with Joey (who had logged time in Embarrassed Teens), Earth Girls finished up writing the songs that would make up their demo that summer. However, the band held off on recording as they worked on securing a second guitar player. Struggling with a revolving cast of second guitar players (who have included Kale Mouser, Vince Aguilar, and Nic Allred), they opted to record as a trio, with Liz handling both rhythm and guitar tracks. Their first recording session consisted of nine songs, including the five song demo and four songs that would go on to make up their debut EP, "Wrong Side of History."